Work / School: Described as a generation that lacks ambition in comparison to previous ones due to their parenting and instant gratification, and further described as impatient and instant minded. As their attention span is much lower, with a high dependency on technology, as opposed to reading books and other printed material, there have been references by Psychologists of this generation having "Acquired Attention Deficit Disorder". Generation Y is the money spending generation, having seen economic expansion and experienced the booming economy, money has allowed for travel, gadgets and fun. Let’s take a closer look. Influences: 9/11 - World Trade Center, Pentagon attack, Oklahoma bombings, terrorist attacks, AIDS, Internet access made available, Kids shooting kids, School uniforms, Death of Princess Diana and Mother Teresa, Timothy McVeigh execution, Globalization, George W. Bush. There major influences are Friends, The Simpsons, Media and sports stars. Family: Comfortable with a looser family structure, single mother / father family units, merged families (step mother or father) and have a new respect for the family unit. They are coddled kids, every child gets a prize even when you come last. Their parents have protected them from all the wrongs / evils of the world, and they are therefore more sheltered than any other generation. They are kept busy, with homework, after school activities and most of these kids have schedules. They consider their parents as their heroes. Money: Have grown up in a world that has seen economic expansion. They are eager to spend money and therefore work to indulge in fun and gadgets. They shop around for the best deals and bargains. They are part of the purchasing power of the family and take part in purchasing decisions. Values: Achievement oriented, loyal, confident, diverse, fun, sociable, techno savvy, spiritual, they want everything now, optimistic, realists, members of a global community, high morals and very tolerant, competitive, like personal attention, street smart, and Individual in their thinking. They value their lifestyle over upward mobility. If presented with a work promotion that will throw their life out of balance, they will choose their lifestyle. Motivation: They value their children, parents and family, they believe they can change the world via technology, they hope to be the next great generation to turn all the wrongs into rights. Work: Ambitious but not entirely focused. They want a balance between work, life, community involvement and self-development / mentoring by managers. They are entrepreneurial, effective, tenacious and good at multi-tasking but will be gone at 5pm, they view work as a means to an end and live for the weekends. They look to the workplace for direction and to help them achieve their goals. They will test authority but will seek them out when they need guidance and more readily accept older leadership than other generations. Gen Y are global and networked, they have grown up in a world with cell phones, computers and the internet, they are always connected. They believe they can work flexibly anytime and anywhere, and that they should be evaluated for their output rather than where and when they got it done. They want long term employment, but on their own terms and with more of a collaborative work environment. There is a decrease in career ambition and would rather have more family time, less travel and less personal pressure. “Me First “ Attitude in work life. An Expat Gen X person, would be good in an organization looking for flexible, creative and ambitious candidates. This generation are willing to learn from managers and are willing to be molded into the organizations culture and goals. They would not be the group of candidates required for their own experience and knowledge, but are rather seeking to gain this from the company they go to. Money: They are the first generation that will NOT do as well financially as their parents did. Values: Their values revolve around life balance, self-reliance, diversity, being entrepreneurial, and having fun. Having spoken about the Traditionalist Generation, we now move on to the Baby boomers and how they left and are leaving their mark in our lives. Influencers: Civil Rights, Space Travel, the Vietnam War, the Sexual Revolution, and the Cold War/Russia. Family: Came from privileged backgrounds, due to their parents’ hard work and savings. Long work hours and living to work resulted in an imbalance and the family unit disintegration with the highest divorce rate and 2nd marriages in history. Values: Value success but also think of themselves as a special generation, due to their radical views and democratic outlook. They have a broad continuity of values with older and younger generations and have a tendency to define the world in terms of the generations. The Baby boomers are post War Babies who grew up to be the radicals of the 70’s and yuppies of the 80’s. Money: As a group in general, they are the healthiest, most educated and wealthiest generation of that time and grew up with an optimistic outlook for life, their futures and the world as a whole. They strived for the American Dream, they are well established in their careers and hold positions of power and authority, and as a result they are seen as being greedy, materialistic and ambitious. Motivation: The strongest motivator for this group is being valued, prestige, perks and their need for money, they define themselves by their professional accomplishments. Work: Baby boomers live to work, they are loyal to their careers and employer. They have a strong work ethic, are multi-taskers and traditionally found their worth in working long hours (they established the 60 hour work week). Working hard gave them the self-worth and fulfillment they required. They established “flat” organizational structures, democracy, equal opportunity, and creating a more humane, warm and friendly workplace. They were rebellious against convention and tradition due to their conservative parents , however they were also independent, confident and self-reliant with a competitive edge and goal orientation. This hard work ethic led to this group being hesitant to take too much time off work for fear of losing their place in the corporate environment. Now, the Baby boomers strive for a work life balance with a leaning towards a healthy lifestyle and strong family bonds. Baby boomers defined a new form of working – living to work, they were / are scared that not working hard will result in failure, being successful is all important. As expats, they may be a bit set in their ways and struggle to find their feet within structured work units. They do however, have the knowledge required to complete tasks and will be of great benefit to the organization as a whole when dispatching experience and information into the workplace. Although they are aiming for better work / life balance at this stage at life they are still achievers and are still looking at climbing the corporate ladder given the opportunity. There are 6 generations defined in Wikipedia and research has been completed on most of these, with a few speculative websites. They are Traditionalists, BabyBoomers, Generation X, Generation Y, Generation Z and Generation Alpha. I will discuss Traditionalists in this first blog and how as an expat their experiences can be of value. Age: Between 66 to 111. Influencers: WWII, the Korean War, the Great Depression, the New Deal, the Rise of Corporations, and the Space Age. Values: Hard work and saving for tomorrow was their aim. They valued the family unit and community above all else and were respectful of their elders and authority. Work: Was of the utmost importance to their livelihoods, they believed in working hard, were dedicated to their jobs, made sure they got the job done, were always on time and punched in and out for the hours required. They worked hard to gain senior positions, where time on the job and working hard resulted in promotions. They believed in long term assignments which gave them job security and stability. Conservative in their outlook on life, they believed in hierarchal work and home structures, with clear chains of command and top-down management with job - recognition and respect for their experience. Andorra is famous for great skiing and shopping and some of the most dramatic scenery in the Pyrenees with over 300 days of sunshine a year. In the last five years, over €50 million has been invested in mountain cafés and restaurants, chairlifts and gondolas, car parks and snow-making machines. Andorra has over 2000 shops – more than one for every 40 inhabitants and attracts over 12 million tourists annually. 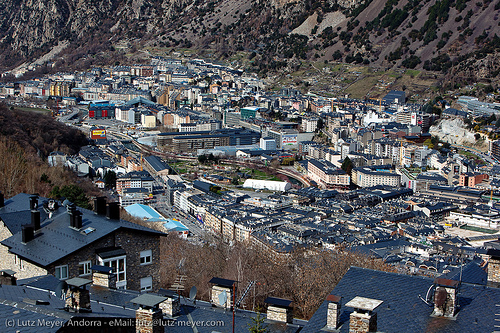 Andorra’s cost of living is approximately 20% cheaper than Paris, France and has no sales tax. This means that you could earn 20% less salary in Andorra than Paris and still maintain a similar standard of living to that of Paris. Andorra is a Tax Haven with no personal income or inheritance tax and has all the normal tax haven benefits without the high living costs. Andorra is well located for expatriates wishing to escape from the big cities. It is within 3 hours drive by car of major cities in France and Spain. 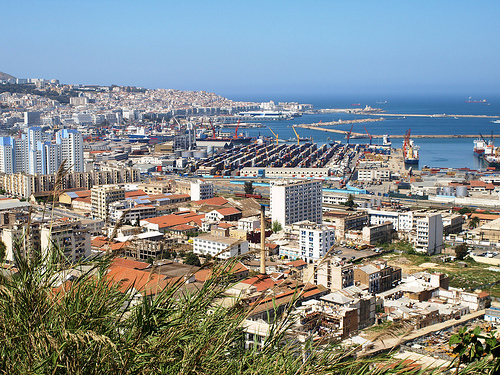 Algiers is a large, busy, Mediterranean city that, thanks mainly to oil and gas, is growing and prospering. The number of new cars on the roads is a sign of growing personal prosperity. The population has doubled in the last 20 years. 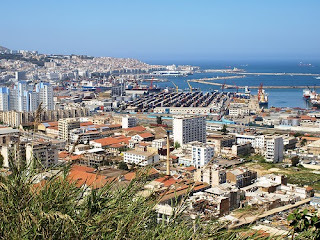 It is the largest port in northwest Africa and the largest city too. Despite the growth Algiers has preserved its old mystique and strong sense of identity in dazzlingly white. The overall weighted cost of living difference between Houston and Algiers is 5.21%. Houston is ranked as a minimal hardship location with a hardship premium of 10%. Algiers is ranked as an extreme hardship location with a hardship premium of 40%. The relative difference in hardship premium (i.e. Host Location Premium minus Home Location Premium) is 30%. A person would require a salary of 135,205.39 US Dollar (USD) in Algiers to have the same standard of living as currently enjoyed in Houston on a salary of 100,000.00 US Dollar (USD). This salary compensates for the overall cost of living difference of 5.2%, the hardship difference of 30%, and the exchange rate. Expatriates living in retirement in the sunny climate of the Mediterranean region may be wondering if the devastation in Japan could happen to them. Not only have tsunamis hit the Mediterranean in the past, there may be more to come. The first known tsunami in the Mediterranean occurred in the Syrian region around 2000BC, while the first tsunami in Greece destroyed the Persian fleet in Potidea, Chalkidiki, in 479BC. There was also a large tsunami that hit Alexandria in 365AD, killing approximately 50,000 people. Shorter distances in the Mediterranean mean that tsunamis hit the coasts faster despite travelling at lower speeds because the sea is not as deep as those in the Pacific Ocean. The last large tsunami that struck in the Aegean Sea was created by the Santorini earthquake of 1956. The tsunami wave that hit the east side of Amorgos was approximately 25-metres high. The most recent tsunami followed the Turkey earthquake of 1999 with the seismic wave affecting the coastal areas of the Marmara region. The zone extending from the Atlantic Ocean to the Pacific Ocean through Italy, Greece, Turkey, Iran and India is the second most seismic zone on the planet, which records some 15 per cent of the earthquake activity worldwide. According to seismologists there it is highly likely that strong earthquakes will hit the Mediterranean region sometime in the future. Informing and preparing the public is imperative. Those living in coastal areas should head inland the minute an earthquake strikes. Although nothing on the scale of the recent tsunami in Japan and the one in Southeast Asia in 2004 has occurred in the Mediterranean in recent decades, putting tsunami warning systems in place would be helpful to everyone living in the region. Comparable worth is a principle that states that people who perform work of equal value should receive similar levels of compensation regardless of gender, ethnicity, nationality etc, but with the exception of legally allowable differences such as level of performance, seniority, location based allowances etc. Jobs have an organization value that can be measured and compared across jobs of widely differentiated content. Tools such as job evaluation can be used to explain these differences in terms of levels of work, skills, competencies, length of training and the amount of responsibility etc. In the USA, despite the Equal Pay Act of 1963, it is legal to discriminate in pay if the job of one is not precisely identical to the work of another. Critics of equal pay for equal work argue that comparable pay for comparable work (comparable worth) would be far more effective in addressing gender pay differences in the USA. Comparable worth implies “comparing” rather than a precise measure of equality. Employers constantly “compare” jobs internally through job evaluation and externally through compensation and benefit surveys. In the USA this principle applies largely to gender based pay discrimination. However what about expatriate pay? Expatriate compensation typically uses home salary as the basis of an assignee’s pay. For example, examine two equally skilled, experienced and performing expatriates doing work of equal value, side by side, in a third country. The expatriate from a higher paying / higher cost of living country earns more than their colleague from a lower paying / lower cost of living country. Does it mean that the two expatriates should be paid the same amount to achieve the principle of comparable worth? Comparable worth seeks to ensure comparable pay for comparable work. The reality is that each dollar earned by the expatriate from the lower cost of living country will go further in their home country than it will for their colleague. To ensure that the principle of comparable worth is applied it is necessary to ensure that salary purchasing power parity (SPPP) is achieved. No company pays the “market rate”, because there is no single universally accepted, appropriate rate for any job. Actual pay is influenced by market related targets, competition, perception, retention fears, circumstance and legacy. Expatriate pay is further influenced by cost of living, hardship and exchange rate differences. Whether we have comparable pay for comparable work or equal pay for equal work or even equal pay for equivalent work the principle is the same. People who perform work of equal value should be rewarded equally without discrimination. In the case of expatriates this implies salary purchasing power parity. Well Q1 of 2011 is almost behind us. What a year it has been already with the Earthquake and Tsunami in Japan and the Humanquake in North Africa and the Middle East. Tokyo is the most expensive city in the world in which to live, out of 300 global locations. The cost of living for an expatriate is affected by both the availability and prices, of goods and services representative of an expatriate lifestyle, local inflation, and the exchange rate between the home and host country. As a result the cost of living has a significant impact on an expatriate’s salary package. We expect that Japan will remain at the top of the rankings for some time to come. The Middle East's most expensive city is Abu Dhabi (ranked 27 in the world), followed by Doha (ranked 49), and Manama (ranked 87). Dubai is the fourth most expensive city in the Middle East (ranked 89 in the world) with a cost of living index of 89.7. The cheapest city surveyed in the Middle East (and cheapest in the world) is Sanaa in Yemen (ranked 300 in the world) with a cost of living index of 49.7, half that of New York which has a cost of living index of 100. Have you had your fill of News Today? Expat Travel – How far have you flown?